Hailee Steinfeld is Mattie Ross and Jeff Bridges is Rooster Cogburn in The Coen Brothers' rehash of TRUE GRIT. “The Assassination of Jesse James by the Coward Robert Ford” is a handsomely mounted, film-school like study of the last days of the infamous James’ Gang by director Andrew Dominik. Growing up in awe of Jesse James (Brad Pitt), Robert Ford (Casey Affleck) finally gets to live out his dream of living side by side with his idol when his brother, Charles (Sam Rockwell) joins the gang. Young Robert quickly learns that the exploits of the murderous train-robbers are far from the exciting flights of fancy he grew up reading about in newspapers and dime-store novels. A series of cowardly acts in the wake of double-crossings and humiliations ultimately lead to the titular event. The style of the film is often visually arresting and downright disturbing, especially in the acts of violence, which leave the most gruesome parts slightly off camera, but are frequently shot and framed in such a way as to maximize shock value and leave an uncomfortable feeling of tension in the theater seats. Dominik sometimes relies too heavily on voice-over narration torn straight from the book upon which the film is based leaving us to assume that aside from dreadfully beautiful photography of passing clouds and desolate Midwestern landscapes, he wasn’t always sure how he visually wanted to tell the story. This leads to a sometimes snails’ pace as the plot unfolds, though the haunting Oscar-worthy cinematography from Roger Deakins and mesmerizing music score from Nick Cave and Warren Ellis eventually get under your skin even as the hands of the clock seem to move slower as if stuck in a pretty photograph of a nightmare. The acting in the film is superb from all involved. However, the performances often blur the line between caricatured scenery-chewing and emotional nuance (especially from Pitt and Rockwell). While there is some entertainment to be found in the lighter scenes of camaraderie amongst the gang members, the audience never really feels anything for the characters aside from sharing their sense of paranoia and fear knowing that around any corner someone will be betrayed and shot. The film also suffers from some scene stealing cameos from James Carville as the governor hell-bent on catching Jesse and the otherwise lovely Zooey Deschanel, who appears out of nowhere for a few moments about ten minutes after the film should have rightfully ended. When the credits finally rolled, I wasn’t sure what to make of the film. There’s some unforgettable imagery (my personal favorite being the almost surreal depiction of the cloth-masked robbers waiting in the dark woods as the train comes roaring down the tracks), and many commendable artistic elements to be found in the film. If the idea was to leave the audience feeling the era showcased was a tension-riddled and violently lonely existence, then the film succeeded wonderfully. Those seeking a more pure entertainment will most assuredly be left stressed and stretched to their limits. A down-on-his-luck rancher (Christian Bale) attempts to restore some honor to his name, regain the respect of his young sons, and put some money in his pocket by escorting a murderous criminal (Russell Crowe) to the 3:10 train to Yuma prison in James Mangold’s update of the 1950’s Western of the same name based on a short story by Elmore Leonard. Westerns are a hard sell these days. 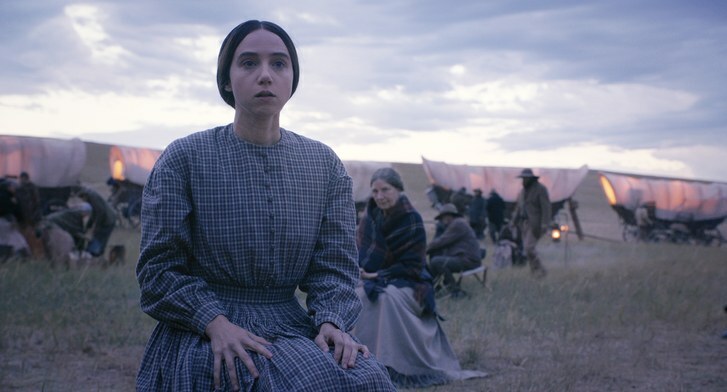 Unless taking the radical deconstructionist route like the neoclassic “Unforgiven” or the bold avante-garde take of last year’s vastly underrated “The Proposition,” the genre often comes across as stale and unwelcome. The only other film to play it straight recently was Kevin Costner’s “Open Range” in 2003, and that movie was only a moderate success. “3:10 to Yuma” lacks the reverent and epic scope of Costner’s piece, but makes up for it in grittiness and a valiant attempt at psychological complexity. Unfortunately “3:10 to Yuma” is awash in genre clichés from the robbing of a stagecoach, to the stoic wife/mother at the homestead (Gretchen Mol), to the depiction of Native Americans as mythical phantom threats ready to scalp and kill anyone in their path. Also distracting are the “cameos” that range from a welcome Peter Fonda as a morally questionable bounty hunter to an unwelcome Luke Wilson complete with green teeth as an unnecessary mining posse leader. Likewise the supporting cast is hit or miss with Logan Lerman showing some decent range as Bale’s eldest son while Ben Foster fails miserably at being method as the insane sharp-shooter hellbent on rescuing Crowe from the gallows. The film’s saving graces are director Mangold’s traditionalist leanings in pacing and Western iconography and the lead performances from Bale and Crowe–two great actors who sometimes resort to scenery-chewing and are shockingly subdued and nuanced here in their multiple physical and mental face-offs. “3:10 to Yuma” culminates in a fantastic finale at the train station that is entertaining enough to forgive the cattle cars of clichés, buy not enough to make the audience wish they would resurrect the genre more often.